Everyone has a smartphone these days. This means that the people carry digital-connectivity in their hands. As such, it is very easy to reach people on their mobile devices. Mobile marketing aims to reach a specific audience through multiple channels on their phones, tablets or other mobile devices. Mobile-optimized websites, email, social media, apps and SMS, are used to provide users with personalized information about your brand. Mobile advertising is an integral part of the mobile marketing mix. As the name suggests, mobile advertising is advertising for mobile devices. It involves the creation and placing of advertisements that will bring traffic to your website on personal smart devices. SMS, MMS, rich media format advertisements that provide location-based promotions to the customers. Ads that show up/stream while you are waiting to use mobile internet for surfing, or streaming video and audio. In-app advertisements that show up while you are using a mobile application. Banner ads and pop-up ads. You have constant access to people through their smart mobile devices. Real-time, location-based ads can be placed on mobile devices in this form of advertising. 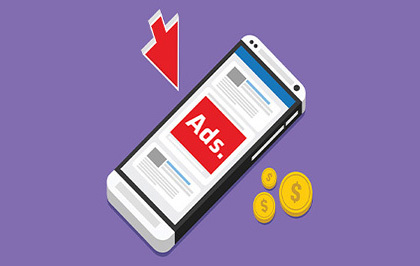 Advertising on mobile devices means that each user can be uniquely identified. The online and offline behavior of each unique individual can be understood, and ads can be personalized to suit them. You can ensure that you are actually reaching people instead of throwing your ads into a void. It is inexpensive to implement. In-app advertising with popular apps can greatly boost your visibility. There are many ways of advertising on smart devices – pop-up ads, banner ads, in-app ads, social media app ads. Create in-app advertising for various types of mobile applications. Use apps such WhatsApp to create viral message-based advertising. Create advertising videos and banners that are highly interactive in nature. 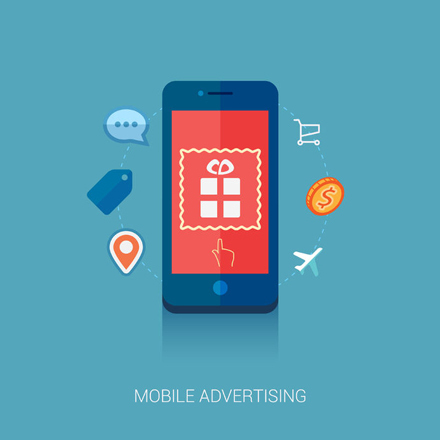 Help you optimize your mobile advertising strategy. Monitor the ad campaigns and track pre-defined metrics. Ensure that the ad created is suited to mobile advertising by testing it on various types of mobile devices. We offer you the services of an experienced and highly creative team of copywriters, graphic and web designers and web developers. We are well-versed with the latest technology and tools that will enhance your mobile advertising campaign. We ensure complete transparency, frequent reporting and on-time delivery of the projects. To know more about what we can do for you, contact us.